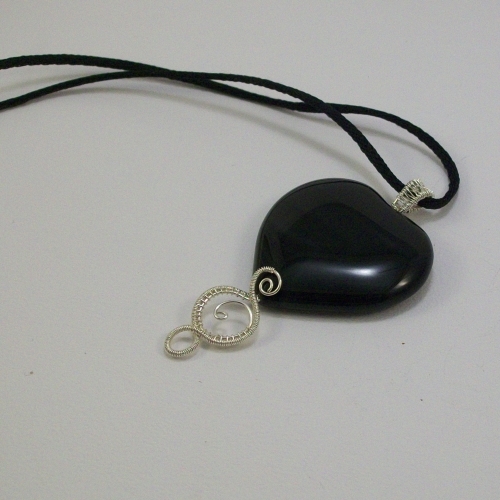 Hand crafted pendant made with a black agate heart with wire wrapped bail and spirals. 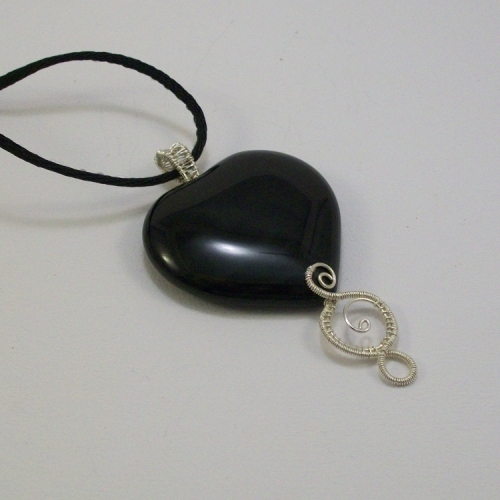 The smooth agate heart has natural stripping across it. 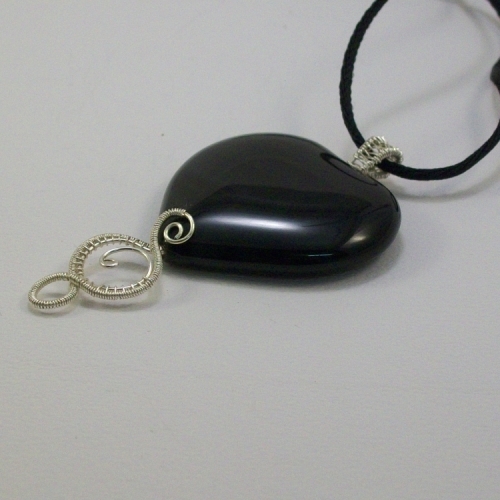 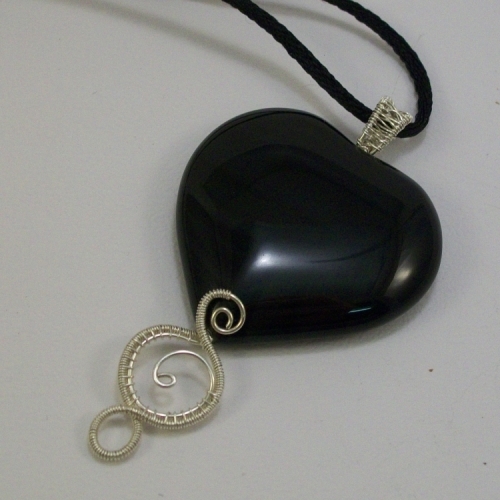 Pendant is 7cm x4cm and comes complete with 20" black cord necklace with bolt clasp.